Nothing is worse than the sun in your eyes and streaks in your windshield. 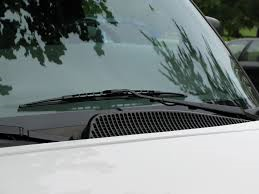 How to you get a streak-free windshield and clear, beautiful windows when you clean? First make a solution of ammonia and water (1 part ammonia to 10 parts water). Fill a spray bottle with the mixture. Spray the cleaning solution on the window and wipe first with the medical rag in one direction (horizontal or vertical) then with the microfiber towel in the opposite direction. Be sure to open the window slightly to get the dirt trapped along the top. Remember also to clean the mirrors, headlights, and wipers for a perfectly clear view of the road, even at night. For helpful advice on new or used cars in the Puyallup, WA area, turn to the experts at the Olympia Auto Mall, your source for all things automotive.